WINDLINE Bow Roller Anchors URM-4 - 18"
Marine Grade 316 Stainless Steel. 28mm, Hook Width 50mm Tall:170mm. Nylon pulley system. Supports anchors up to 20 lbs. Zinc plated steel anchor lift and nylon pulley system. Supports anchors up to 20 lbs. Marine Boat Anchor Roller 160mm. Overall length: 6-1/4"(160mm). Material:Marine Grade Stainless steel. We have warehouses in the USA, CA, and AU. Allows for easy and safe setting of a mushroom or river anchor typically from a small freshwater fishing boat. Keeps The side of your boat safe from the continuous rubbing of the line. Made using the highest quality components - zin plated steel. Easy operation allows the operator to set and retrieve the anchor from a sitting position. Includes a pulley lift and anchor lock that allows for easy lifting, dropping and setting of your river or mushroom anchor. The pulley suitable for 1/4" to 7/16" dia. rope. This anchor locking control holds up to 20lb anchor. Made In Taiwan. Item Number: PM150704. Roller Size: Φ2-1/2" 1-3/4" (64mm 45mm). marine hardware manufacturer . It will be a wise choice to choose us. We are the. We will try our best to reduce the risk of the custom duties. Trending at $31.94eBay determines this price through a machine learned model of the product's sale prices within the last 90 days. Bow Anchor Roller Stainless Steel Self Launching Heavy Duty Bow Roller. 1 x Boat Bow Anchor Roller. With a hard rubber roller for anchor chain. Suitable for boat and yacht. Marine Grade Stainless Steel Surface Spuer Mirror polishing. Marine Boat Anchor Roller 160mm. Overall length: 6-1/4"(160mm). Material:Marine Grade Stainless steel. We have warehouses in the USA, CA, and AU. Detail image. Height: 73mm. Surface polishing and welding. Stainless Steel Boat Anchor Roller Chain Roller Self Launching Bow Roller23-2/5"
Amarine Made Stainless Steel Boat Anchor Roller. Stainless steel anchor roller from Amarine-made. Roller: 2-9/10" D x 3-1/4" L.
Trending at $94.91eBay determines this price through a machine learned model of the product's sale prices within the last 90 days. 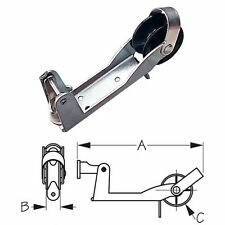 Boat Bow Anchor Roller Stainless Steel Self Launching Bow Rollers Heavy Duty. Roller Size: Φ2-1/2" 1-3/4" (64mm 45mm). 100% genuine products! We will try our best to reduce the risk of the custom duties. Roller Size: Φ2-1/2" 1-3/4" (64mm 45mm). We'd like to settle any problem in a friendly manner. We will try our best to reduce the risk of the custom duties. ANCHORMATE was designed for total ease and safety in anchoring. Simply turn the button to drop the anchor quickly, smoothly and silently. The handle remains stationary so it can't whip around. Easily installed and is available in black. Ideal for boats 20 to 45 ft. Prevents damaging the hull when raising and lowering the anchor. Maximum anchor size: 60 lbs. Heavy duty stainless steel construction. Marine Grade 316 Stainless Steel. 28mm, Hook Width 50mm. S HIPPING. Ideal for boats 25 to 45 ft. Designed with a cantilevered system that makes it easier to put up or lower the anchor with a windlass. Provides anti-rattle storage of the anchor. Maximum anchor size: 28 lbs. Prevents damaging the hull when raising and lowering the anchor. Stamped 304 stainless steel construction. Pre-drilled holes for easy installation. LEWMAR #66840009 BOW ROLLER. Polished 308 Stainless Steel. Trending at $156.35eBay determines this price through a machine learned model of the product's sale prices within the last 90 days. Part Number: 220285. Boat part number 1078408 is a new anchor line bow roller from Lewmar, part number unavailable. Part commonly used on Rinker Boats, may be used on other boats. Part Manufacturer: Lewmar. For boats with anchor platforms or bow planks and pivoting fluke anchors. Ideal for boats 28 to 48 ft. Mounts in or under slot to hold anchor under bow plank. Maximum anchor size: 50 lbs. Heavy duty stainless steel construction. Lewmar Self-Launching Anchor Roller This Lewmar Self-Launching Anchor Roller is suited for fluke style anchors of up to 35 lbs. Constructed of 304 stainless steel, it will not damage the deck or topsides. The friction-free surface allows for dropping and weighing anchor to be much easier. This pivoting and self-launching roller will allow you to safely stow anchor while cruising and also deploy at short notice. Features: Won't Damage The Deck Or Topsides For Fluke Style Anchors Up To 35 lbs Constructed Of 304 Stainless Steel Pivoting, Self-Launching Friction-Free Surface To Make Dropping and Weighing Anchor Easier Range Of Rollers To Fit The Most Common Combinations Of Anchor, Mounting Style and Boat Allows You To Safely Stow Anchor While Cruising and Deploy At Short Notice. As the anchor line is played out the anchor roller pivots downward under the weight of the anchor allowing it to fall freely into the water. Designed to facilitate self-launching of the anchor system. Stamped 304 stainless steel construction. Marine Boat Anchor Roller 160mm. Overall length: 6-1/4"(160mm). 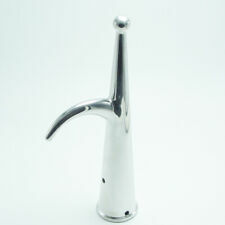 Material:Marine Grade Stainless steel. Goods without RMA number will NOT be accepted. We'd like to settle any problem in a friendly manner. For use with Danforth, Fortress and Delta type anchors. Ideal for boats 25 to 54 ft. Maximum anchor size: 60 lbs. Heavy duty stainless steel construction. For use with plow type anchors. Ideal for boats 25 to 75 ft. Maximum anchor size: 60 lbs. Heavy duty stainless steel construction. For boats with anchor platforms or bow planks. Mounts in or under slot to hold anchor under bow plank. Stamped 304 stainless steel construction. Pre-drilled holes for easy installation. Ideal for boats 20 to 30 ft. Prevents damaging the hull when raising and lowering the anchor. Maximum anchor size: 35 lbs. Heavy duty stainless steel construction. For boats with anchor platforms or bow planks and pivoting fluke anchors. Ideal for boats 18 to 30 ft. Mounts in or under slot to hold anchor under bow plank. Maximum anchor size: 20 lbs. Heavy duty stainless steel construction. New heavy-duty stainless steel, self-launching bow anchor roller. Many types of anchors up to 45# on boats up to 46'. Danforth, Fortress, Fluke, Plow and Delta type anchors up to 45# on boats up to 46'. Trending at $98.79eBay determines this price through a machine learned model of the product's sale prices within the last 90 days. For use with Fortress anchors through FX-23 and Danforth anchors up to 13 lbs. Ideal for boats up to 25 ft. Maximum anchor size: 13 lbs. Heavy gauge stainless steel construction. Ideal for boats 20 to 45 ft with pivoting fluke anchors. Prevents damaging the hull when raising and lowering the anchor. Maximum anchor size: 60 lbs. Heavy duty stainless steel construction. Stamped 304 stainless steel construction. For use with SeaHook and most welded Danforth type anchors. You are buying this GG Schmitt 22203 Large Anchor Roller Stainless Steel Heavy Duty. Manufacturer: GG Schmitt. Anchor Roller is 7-1/2" Deep. Item is new, never used/installed. 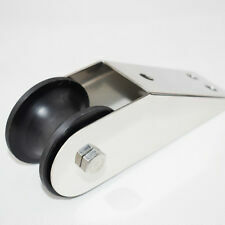 Heavy duty plastic roller is 2-1/2" W.
Stainless steel anchor roller from Amarine-made. Roller: 2-3/5" D x 2-2/5" L. 6 Gang 12V/24V Waterproof Rocker Switch Panel with Blue LED for Marine Boat -EFP. 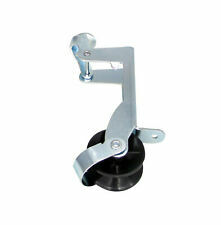 NEW STYLE 6" Stainless Steel 316 Folding Cleat, Flip-up Dock Cleat Amarine-made. Stainless steel bail. Securely stows Danforth, Fortress, and Delta type anchors for sail and power boats. Roller Size: Φ2-1/2" 1-3/4" (64mm 45mm). 100% genuine products! We will try our best to reduce the risk of the custom duties. 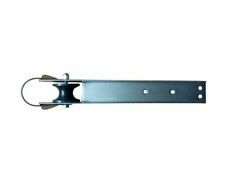 Ideal for mounting anchors where there is limited deck space. For use with Danforth, Fortress and Delta type anchors. Ideal for boats up to 35 ft. Maximum anchor size: 28 lbs. Heavy duty stainless steel construction. This Norestar Universal Bow Roller is designed to fit many styles of boat anchors including Fortress Anchors, Fluke/Danforth Anchors, Wing/Delta Anchors, and CQR/Plow Anchors. The body is constructed for solid stainless steel and it includes a durable rubber wheel. With Chain Blocker. HRD Marine Stainless Steel Anchor Roller. 316 stainless steel. Suitable for 1/4" to 5/16" line and chain. 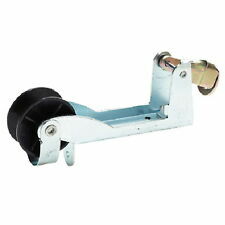 Windline Marine Anchor Roller..URM-4.Stainless.20 inch Length.3 inch Wide. Nice used heavy duty low profile anchor roller that is compatible with Delta Fortress and Danforth Anchors. New never mounted Stainless steel small anchor mount by windline.